Parents and caregivers have swaddled their infants since at least the 1700s, according to the American Academy of Pediatrics and since the 1990s, swaddling has become a popular trend in the United States, according to a health writer at The New York Times. Although swaddling provides multiple benefits, it also poses potential hazards, explains the American Academy of Pediatrics. If you swaddle your baby incorrectly, you could damage his development, endanger his health, or even increase his risk of Sudden Infant Death Syndrome, termed SIDS. If the swaddling blanket gets loose, it could cover the baby's face and cause suffocation. A loose swaddling blanket increases the risk of SIDS, explains the American Academy of Pediatrics. An incorrect or overly tight swaddle can cause hip dysplasia, warns The New York Times. A swaddle that's too tight can also hinder the baby's lung function, adds the American Academy of Pediatrics; his lungs can't hold as much oxygen because the blanket restricts his chest movement. This restriction of movement can even make it harder for your baby to retain warmth. In some circumstances, the British Medical Journal concludes, this could cause or exacerbate a potentially fatal cold injury. In other circumstances, swaddling can cause overheating, according to the Mississippi SIDS Alliance. Swaddle your baby firmly to keep the blanket from coming loose, advises the American Academy of Pediatrics. Most of the pressure should surround the baby's arms; leaving it loose at the legs reduces the risk of hip dysplasia, explains the New York Times. Too make sure the swaddle isn't too tight, slip your hand between the baby and the blanket; it should feel snug but not uncomfortable. To prevent under-heating, the British Medical Journal recommends keeping the house sufficiently warm and don't swaddle your baby when he is cold. To prevent overheating in hot weather, use a thin cotton blanket and removing the baby's clothes before swaddling. Swaddling is most helpful and appropriate in the first three months of your baby's life, explains the American Academy of Pediatrics. If your baby loves swaddling, you can continue the practice until your baby turns 9 months old. Stop when your baby can loosen or undo the swaddle on his own, because this increases the risk of SIDS. Additionally, stop swaddling when your baby grows old enough to roll over; if a swaddled baby lies on his stomach, his risk of SIDS rises. Only swaddle your baby if you know how. Because of the potential dangers, the Connecticut Department of Children and Families tells parents to use swaddling only if an expert first teaches them how to do it properly. If you birth your child in a hospital or birthing center, you can ask a nurse to demonstrate a safe swaddling technique. 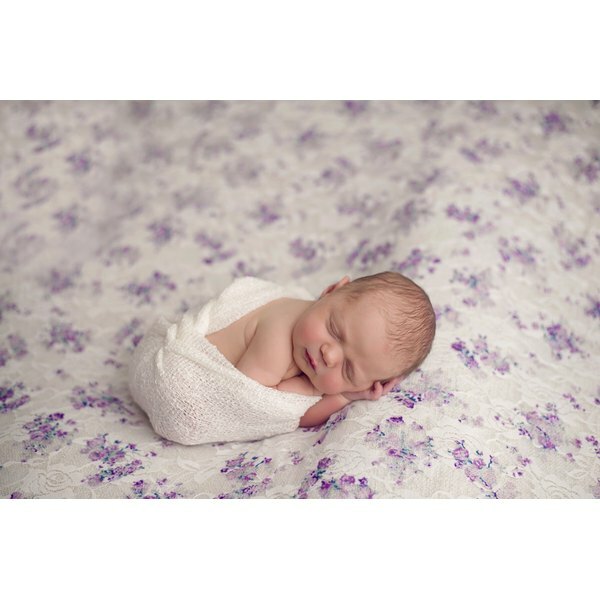 When done correctly, the dangers of swaddling are minimal and its benefits are significant. Swaddling can comfort a sad baby and reduce crying, explains The New York Times. Further, it can help a baby sleep better and longer, according to the American Academy of Pediatrics. Perhaps most importantly, the Mississippi SIDS Alliance notes that proper swaddling might reduce the risk of SIDS.